I love books and I take the recommendations of Tim Ferriss of the Four Hour Work Week very seriously. Below are the books from The Tim Ferriss Book Club, with more to come. They are listed in chronological order, not magnitude of impact. I hope you enjoy them all as much as I have! Last week, being the end of the month, I was expecting a number of clients to dutifully deposit the invoiced amounts into our account... but a significant number didn't. Chasing up payments is always unpleasant and each of the people I spoke to had a combination of reasons... paperwork, slow economy, issues etc., and my cashflow has taken a massive hit!! 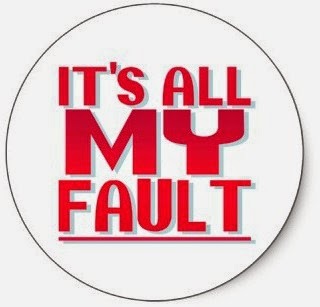 And I was blaming everyone and thing but the real cause...ME! Yes it is MY FAULT that clients have pushed paying me down the list of things to do... I have become someone who they can offend or ignore because I AM NOT INDISPENSABLE to their success. As I reviewed the situation over the last couple of days, it struck me that, if push came to shove, each client would probably say: "Wayne, times are tough, and we have to make economies and one of them is your fee." And regardless of my protestations about contracts and obligations, if I am not creating multiples of my fee in immediate benefits, I have become DISPENSABLE. As this slowly sank in over the last 72 hours I look at the things I pay without thinking twice about... they are those which I can't do without. And when I thought about the clients who are making difficult choices, it became clear, without me they wouldn't be totally at a disadvantage. So I had become a elective payment and not a MUST HAVE. se they would get no work until the next week. I need to create that situation - my clients need to need me so much that if I am not doing my "stuff" for them, they will miss me so much that they just wouldn't consider not paying my invoice..